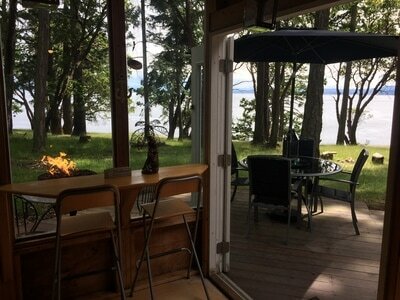 Beautiful 2.8 acre Southwest facing property on Sidney Island BC. 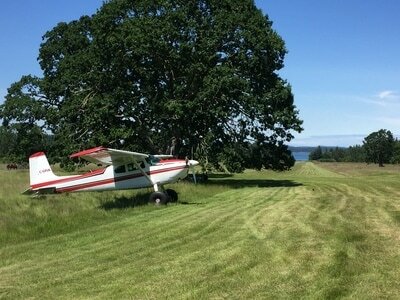 Located on Sidney Island, BC on an oceanfront high bank and close proximity to a fantastic private airstrip. The property has 2 small 100sf cabins, a storage shed and a very clean outhouse. 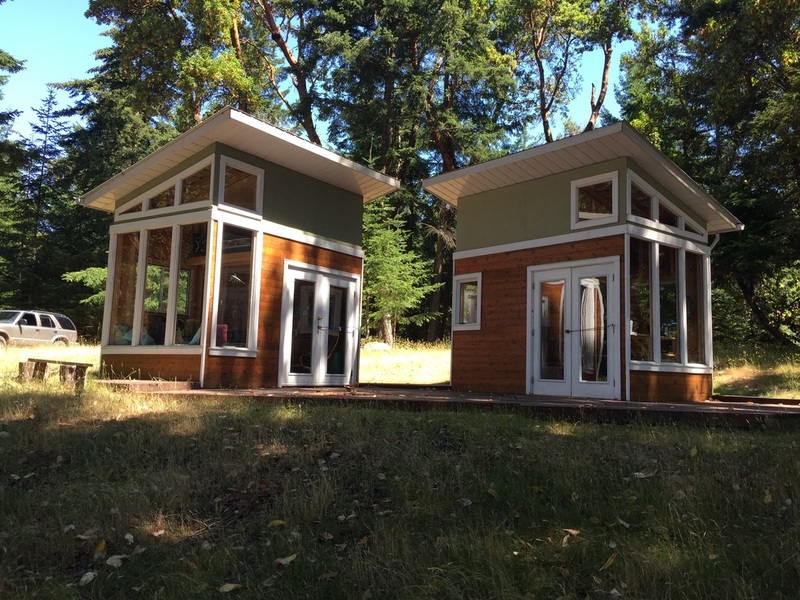 The structures are basic, modern looking and off the grid. 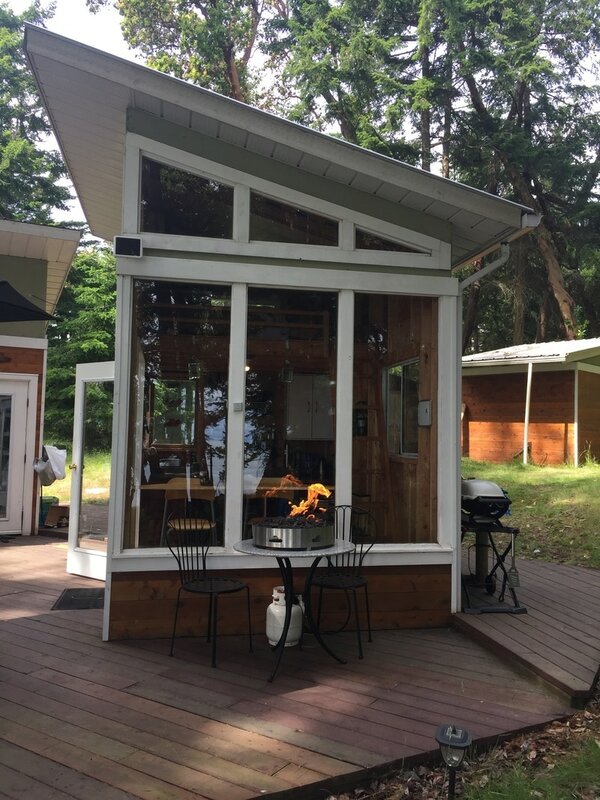 Both cabins have sleeping lofts and unobstructed southwest ocean views and it is only a 10 minute walk to the beach and airstrip. 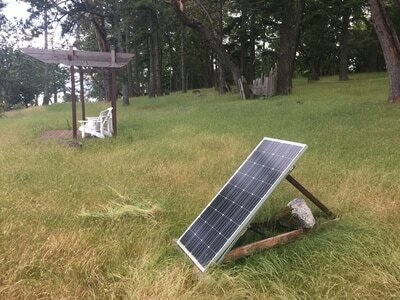 There is no electricity on the island but we recently outfitted the cabins with a small solar supply with generator backup that provides light, water, refrigeration and the ability to charge small electronics. The Cabin even has an outdoor, enclosed hot shower (yes a real hot shower with running water). 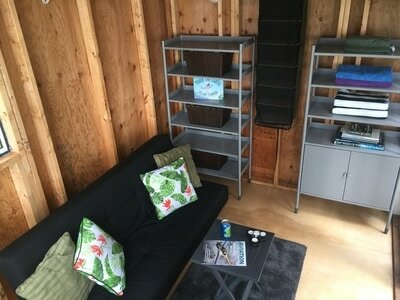 This property is meant for primarily outdoor living with very simple yet comfortable indoor sleeping and eating quarters. There is plenty of room on the lot to build your dream cabin when the time comes but it is ready to use as is, right away. 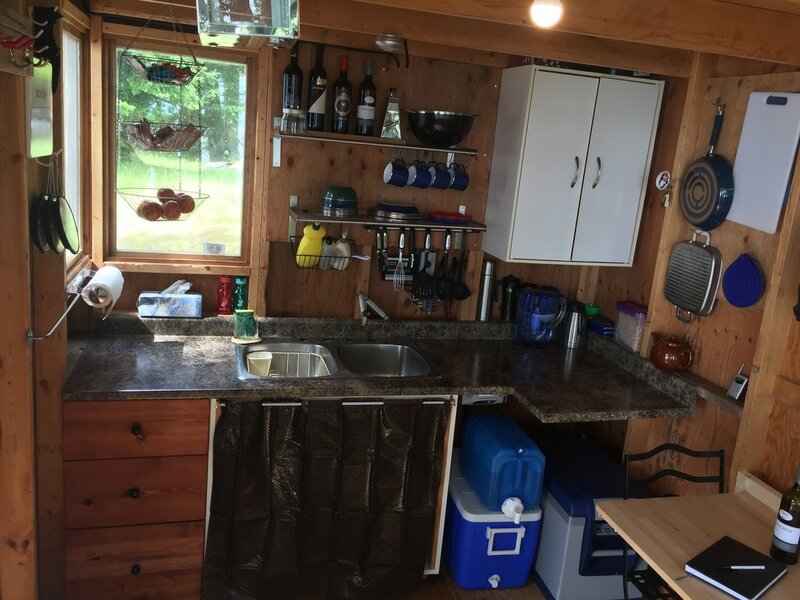 Included are 2 pickup trucks and a 16.5ft 110hp boat with trailer. 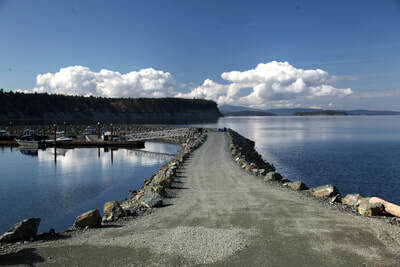 The North end of the island is a provincial park and the southern 2/3 of the island is private and shared between the 111 strata owners. Access to the island is limited to private aircraft, private boat or chartered water taxi. 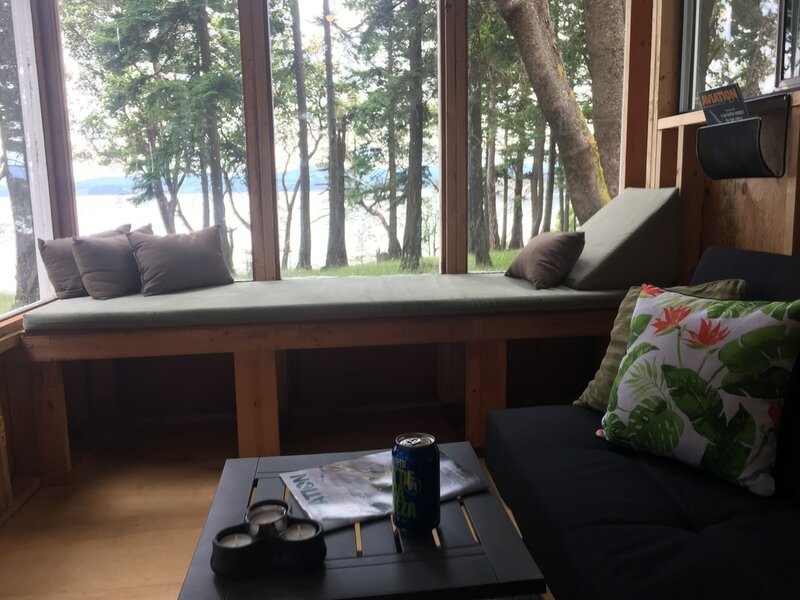 The Island is located 6 miles from the Victoria International Airport and is about a 10 minute flight or a 20 minute water taxi ride to the shared private dock. 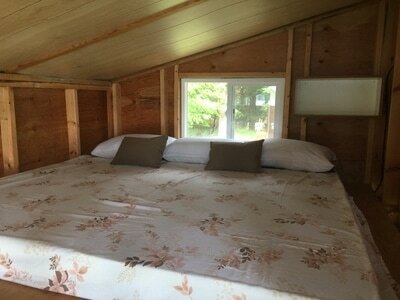 It is a great place to escape just for the day or for a few nights if you don't mind living simply. The Strata Corporation equipment consists of an excavator, dump truck, fire truck, ambulance, tank truck, pickup truck, road grader and miscellaneous equipment, some of which is available to Strata owners on a rental basis. 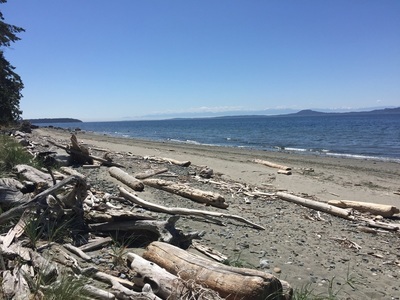 Location :Sidney Island is at the southern end of the Gulf Islands between Vancouver Island and mainland British Columbia. It is about 19 km north of Victoria, 6 km south east of Sidney on the Saanich Peninsula and only 10 km from Roche Harbour on US San Juan Island. Access : Access is by boat or floatplane to the private dock in Miners Bay or by plane to the private 2,600 ft airstrip, both of which are the common property of the strata owners. 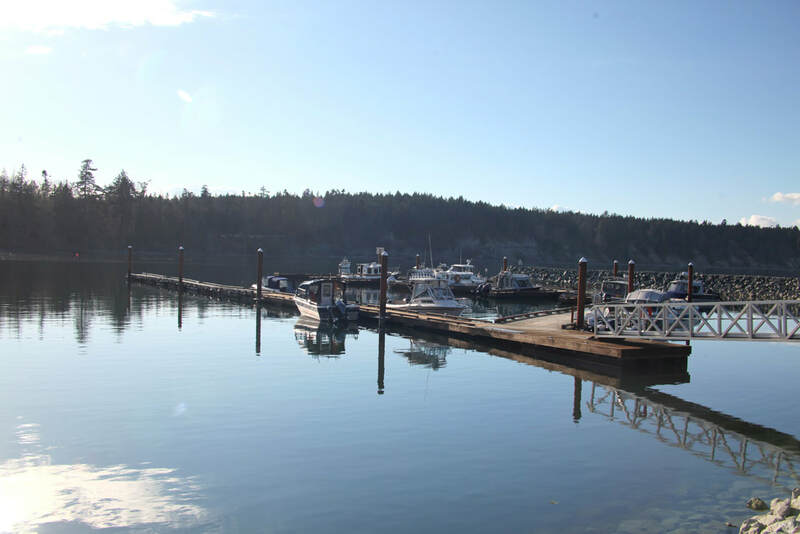 Water taxi service is available from Sidney and arrangements can be made for the water taxi to pick people up at any marina or near the BC Ferry terminal at Schwartz Bay, so you can walk on the ferry and easily get to Sidney Island. Please contact Rich Osborne or Dave Cochlan to make an appointment to view the island. 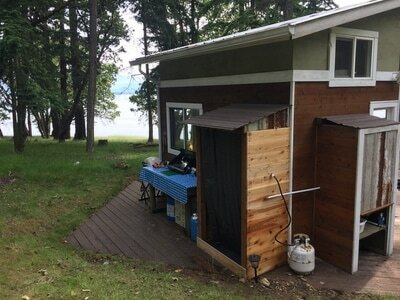 Recreation :Boating, swimming in ocean and swimming hole, paddling, scuba diving, fishing, crabbing, sailing, photography, bird watching, walking, cycling, exploring and cruising Canadian Gulf Islands and US San Juan Islands. 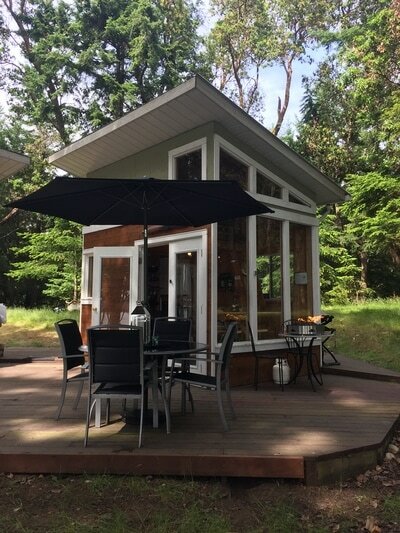 ​Vegetation :The Island supports exceptionally lush and varied vegetation common to the south coastal climatic zone including Douglas fir, white fir, Garry oak, mock cherry, arbutus, red cedar, red alder, balsam, hemlock, aspen, yew, big leaf maple and flowering dogwood. Smaller vegetation includes Scotch broom, fireweed, gorse, wild roses, western fescue, orchard grass, salal, Hawthorne and a 50-tree orchard on the common land. Unique in British Columbia, perhaps the world, Sidney Island offers the rare combination of ownership of superb waterfront property with a model of sustainable forestry, limited development of common areas, precious conservation zones and miles of sand beaches. It is blessed with a Mediterranean like climate, warm summers, mild winters and less than 30 inches annual rainfall. 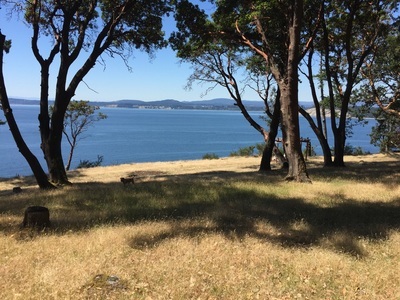 Not only is it one of the most picturesque, but the last major undeveloped island in the Gulf Islands chain. 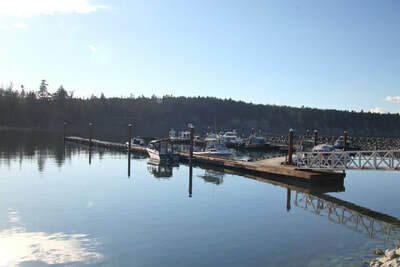 From every part of the island there are breathtaking views. To the south the perennial snow covered Olympic Range, to the east the perfect cone of Mt. Baker and the jagged peaks of the Cascades. The shared ownership includes an excellent network of roads, a new 300 foot dock (which will be upgraded by the strata corporation as the demand for dock space requires) and a number of drilled water wells. The result is an amazing diversity of properties with low, medium and high bank oceanfront, virtually every possible exposure, varied topography, beautiful views, and differing levels of privacy and a range of prices. History :Originally named Sallas Island, in 1859 the Hudson Bay Company, hoping to attract settlers with a more British name, changed it to Sidney Island. Many years ago the Island was purchased by a group of Victoria businessmen as a private hunting preserve. 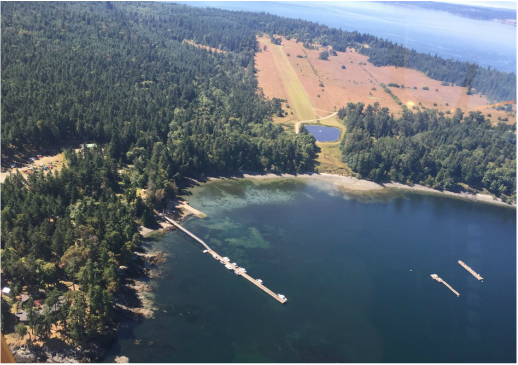 In 1981 the Island was purchased from the last two survivors of the original owners, by Sallas Forest Limited Partnership.